Cleveland Whiskey is seeking to raise $1 million to fund its expansion plans, through a crowdfunding campaign launched this week. The company is capitalizing on recent changes in U.S. securities laws that for the first time permit startups to seek funding from average investors. Until now, companies could only raise funding from accredited investors, generally those with a net worth of at least $1 million. “This is a big deal to us, because it allows us to focus on small investors. These are our customers, people buying and enjoying our whiskey and it just makes sense to bring them on as owners of Cleveland Whiskey,” said Cleveland Whiskey CEO Tom Lix. The company launched its campaign on WeFunder.com, one of just a handful of online platforms that have thus far been approved by the Securities and Exchange Commission for equity crowdfunding. The offering to investors’ notes that Cleveland Whiskey generated more than $1 million in revenues last year and is expected to reach profitability as part of a significant expansion both domestically and overseas. Currently the company sells products in 13 states and six countries including Germany, France, Switzerland, Belgium and Japan. Proceeds of the new raise will be used to expand both sales territories and production capacity. The company, which leverages proprietary technology to not only speed up the traditional aging process but also create a series of unique finishes with woods not traditionally used for barrel production has been on a Gold Medal winning streak. With awards from International Spirits competitions in Los Angeles, San Francisco, Berlin and Hong Kong, the company most recently won a coveted award as the 2016 Whiskey Distillery Innovator of the Year from the Berlin International Competition. “We’re not constrained by industry practice or tradition but rather we’re pushing the limits of natural aromas and flavors through some pretty innovative technology, “said Lix. 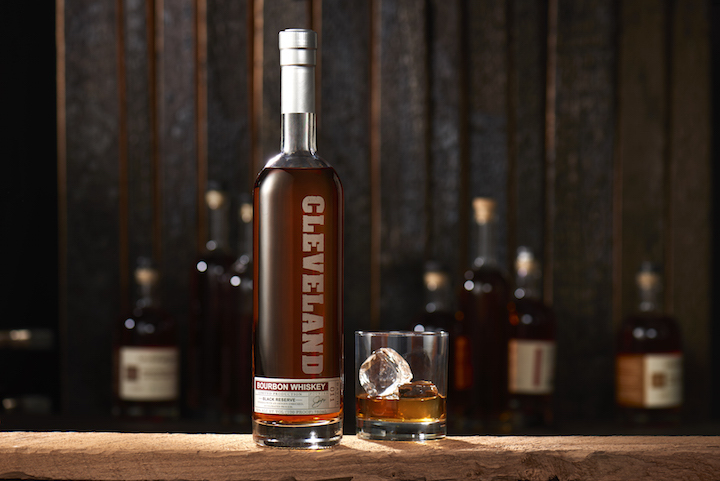 Since its founding in 2009, Cleveland Whiskey’s innovative and controversial approach has garnered tremendous media interest, attracting coverage in dozens of local and national publications, including Esquire, Inc Magazine, Atlantic Monthly, CNBC and Forbes. President Obama also toured the company’s facility last year although nobody is talking about whether he actually sampled any of the Cleveland Bourbon’s while on the tour. This offering is being made pursuant to Section 4(a)(6) of the Securities Act, created under Title III of the JOBS Act. For additional information or to purchase shares please visit wefunder.com/clevelandwhiskey.